Fyfe, Jas. 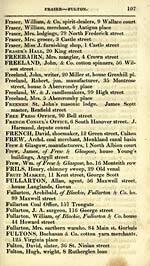 of Smithfield, at Stirling Gordon fy Co.'s. Fyfe,John, merchant, 42 Miller st. ho. 13West Bath st.
Fyfe, Wm. 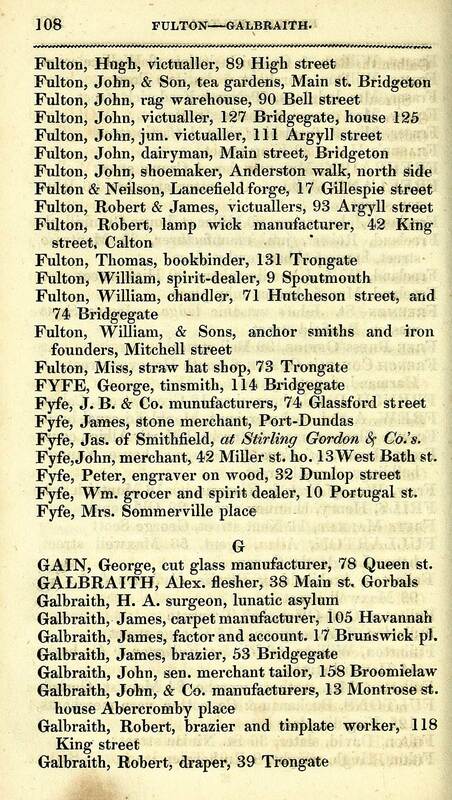 grocer and spirit dealer, 10 Portugal st.
GAIN, George, cut glass manufacturer, 78 Queen st.
Galbraith, James, factor and account. 17 Brunswick pi. 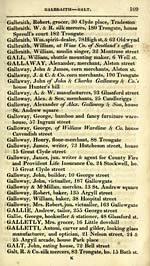 Galbraith, John, & Co. manufacturers, 13 Montrose st.